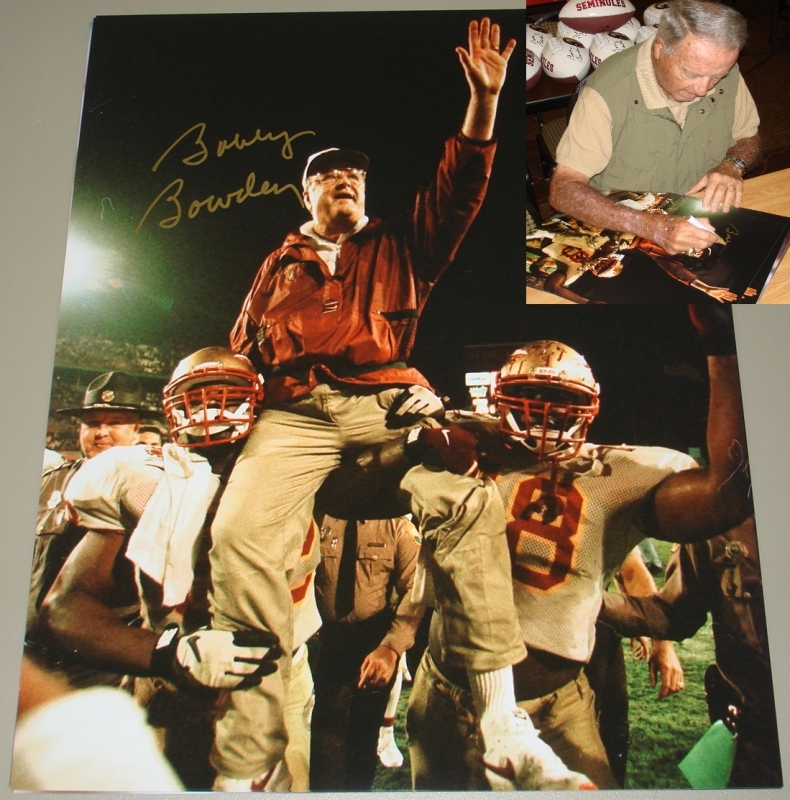 This Florida State Seminoles 16 x 20 Photograph has been hand signed by Coach Bobby Bowden. The photo will include a certificate of authenticity from VIP Memorabilia with matching tamper evident holograms affixed to the photo and certificate as well as a 4x6 photo of Coach Bobby Bowden signing our photos. This photo is guaranteed to be 100% authentic and will pass 3rd party authentication service.